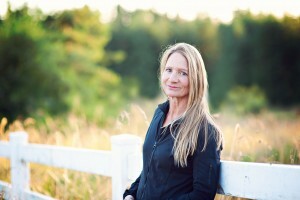 Gather round, children, as we welcome Lisa Preston to the blog. 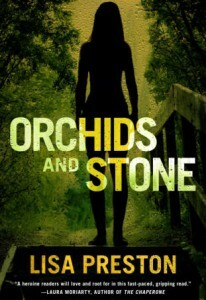 A veteran police officer and EMT, as well as a horse trainer and backcountry adventurer, she’s the author of the new novel ORCHIDS AND STONE. (Read more about Lisa, below.) Today, she’s sharing a cop’s perspective on Miranda warnings, and how you can use them to strengthen your story without breaking the law. I once read (part) of a novel by a best-selling author in which a character pleads guilty to murder then the rest of the plot develops over the succeeding criminal trial. Of course, this is not at all what would happen; there would not even be a trial. Only those who plead not guilty receive criminal trials. Most legal goofs are not so egregious and will likely be missed by many readers, but the writer will lose credibility with readers who roll their eyes when a writer bends the legal system too far for the reader to ride along. As a retired cop, I am one of those readers who doesn’t tolerate fiction with significant goofs in legal procedure. As a writer, I was amused when an editor thought the police officer who had arrested my protagonist should have Mirandized her. This brings me to the two major misunderstandings I see writers struggle with on Miranda warnings. First, Miranda [LAB: Named for the U.S. Supreme Court’s 1964 decision in Miranda v. Arizona) applies to custodial interviews. The cliché scene of a cop snarling Miranda warnings the minute the suspect is handcuffed is not the way police Mirandize. To do so would create an adversarial approach, lessening the chances of the subject being cooperative. Moreover, there’s no reason to Mirandize if there’s no interview. ∙ What did the officer believe (about whether or not the subject was free to leave at any time)? Was the interview subject in the back of a patrol car (from which he could not let himself out)? The officer knows that person is not really free to leave at any time; the interview is custodial and Miranda is required. ∙ What did the interviewee believe (about whether or not he was free to leave at any time)? Was the interviewee in a police station behind locked doors? If he was escorted deep within the building and doesn’t feel free to leave, Miranda is required. ∙ What would a reasonable person believe (about whether or not a person in that situation would feel free to leave at any time)? Was the interview subject first told by the police officer to sit down on the park bench? Maybe the officer is standing over the person now, asking questions. A reasonable person could find that custodial. Second, there’s nothing magic about a police officer giving the Miranda warning; the key is that the interview subject must waive Miranda rights before being questioned. The 3-prong test for a clean waiver of the Miranda rights is a knowing, intelligent and voluntary waiving of the right to not talk and to not have an attorney present. If the officer read Miranda but the interview subject never waived his rights, then anything learned in the interview could be suppressed or not admissible in court because there was no waiver. Of course, a writer can use good information to develop a story in any direction. Want the cop to be incompetent? Have him scream Miranda at the arrestee, scaring the subject right out of talking to a cop with an aggressive attitude. Want the cop to be dirty? Have him bait the guy into talking then turn on a recorder and catch what he says without benefit of a Miranda advisement and waiver. Want good procedure? Follow good procedure. Use reliable resources to clarify the legal rules that apply to your fiction. Leslie’s guide, Books, Crooks and Counselors, is an excellent resource, one I recommend to all writers. For details that touch on all senses in a given police scenario, talk to officers who have been in similar situations. We’re happy to share experiences with writers who want to strengthen their stories. With one semester to go in high school, Lisa Preston moved to Alaska and almost immediately began mountain climbing. To improve her first aid knowledge, she took an Emergency Medical Technician course, which included ride-alongs on the Fire Department’s Advanced Life Support ambulances. She moved to Oregon for training and was soon back in Alaska, pulling 24-hour shifts as a paramedic. After a number of years, she transferred to the Police Department. Her second career started with the position of street officer and she still claims it is the most demanding job in law enforcement. Faced with a choice between K-9 and detectives (she’d trained protection and tracking dogs), she became a detective, working in the Vice unit and later in Crimes Against Children, with a special assignment as a Hostage Negotiator. She went back to the street as a sergeant, and eventually returned to investigations, supervising Internal Affairs. She teaches three writing workshops (The Query Class; The Right Rewrite; Ambulances, Badges and Courtrooms). She’s an ultrarunner and rides solo for long distance on her AKhal Teke horses, exploring in the backcountry. This entry was posted in Books Crooks and Counselors, Guest posts, writing about legal issues and tagged Lisa Preston, Miranda warnings by admin. Bookmark the permalink. This elucidated a very confusing issue. I encountered some of those questions writing LOCKED OUT(under contract to Black Opal Books) My accused found and handled the murder weapon before he found the body. Because his cloths came in contact with the murder weapon, the cops deemed them evidence. So when they took away his clothes and gave him sweats with no drawstring, I figured Miranda was needed. I’m so glad it helped you, Sarah, and good luck with Locked Out. If the cops merely gave an order (which might be along the lines of “We are seizing your clothes as evidence. Remove your clothes, you can wear this–” )then no Miranda is needed because it is not a custodial interview, but if the exchange included some questions or other conversation intended to elicit info from your accused, then it is a Miranda situation. A NY appeal ct former judge and former DA I consulted felt that it was so subject to dispute that it was better to be safe and use Miranda. My guy already had his def. lawyer present and it felt like overkill but I left the book that way. I’m with Lisa on this one. I see no custody, and no questioning, as long as the man was free to leave, and was adequately clothed, considering the weather, to do so — no factoring style points! An AKhal Teke,huh. Where do you get one of those around here? So we share a love of historicals as well as horses! Love my Tekes- they’re half Arab, two different Teke sires. One I found in New Mexico and the other in Oregon. There are a few Teke breeders in the Northwest. Wonderfully brave and athletic horses. I just got back from three hours of gnarly trails, going speedy with big views. Thanks. This is a keeper – a post that is both entertaining and enlightening. You’re so welcome, Sandra. Thanks for reading and commenting. This could not have come at a better time for me! Thank you both! Great to hear, Sylvia. You’re very welcome.